The 1st MUOGRAPHIX Seminar on recent developments in muographic applications to oil and gas exploration was held on August 3, 2018. Representatives from Japanese industries such as Japan Petroleum Exploration Co. Ltd (JAPEX), NEC Corporation and Central Research Institute of Electric Power Industry (CRIEPI) joined to discuss the ongoing developments and future goals of this burgeoning field. The overview talk described the worldwide trends in related industrial applications and emphasized the need for academia and industry cooperation. Launched projects with international high-tech company NEC has been part of this effort to harness the power of shared resources for shared goals. 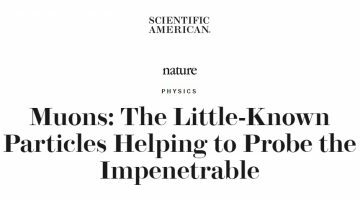 A recent Nature Magazine article Muons: the little-known particles helping to probe the impenetrable written by Elizabeth Gibney was mentioned. This article reported on the May 14-15, 2018 Royal Society Cosmic -ray Muography conference and emphasized the importance of industrial applications. Besides these topics, other relevant applications were discussed including the collaboration with NEC, Wigner and University of Tokyo, the Scan Pyramids Project and the UNESCO designated Shiva Temple, Indonesia survey. A joint effort between NEC, Wigner and MUOGRAPHIX has been developing a new small scale detector to help monitor the strength of the large concrete support structures for trainlines. Non-invasive monitoring of Japanese civil engineering structures which may become dangerously unstable from unseen earthquake damage have obvious benefits to public safety. The research of the Scan Pyramids Project became worldwide news in October 2017 when the international team from Japan, France and Egypt discovered a void inside the Khufu Pyramid. The archeological survey in Shiva Temple, Indonesia was undertaken in order to determine the susceptibility of the ancient structure to future earthquakes. As the challenges of oil and gas exploration continue to increase, how can new developments in frontier fields like muography help to solve these problems? What role does international cooperation play in this development? What are the specific issues that need to be solved? These were some of the questions that were discussed in the talks, and later during the Q and A session and at the reception.